JR, The Black Entertainment Guide: Tyler Perry prepares New Sitcom, "For Better or Worse"
Tyler Perry prepares New Sitcom, "For Better or Worse"
Among the many successful Tyler Perry films, one of his more popular ones have been the Why Did I Get Married? series. The way the movies portray the committed relationship had a deep connection with the fans. Tyler Perry capitalized off the success of the 2007 film with a 2010 sequel. 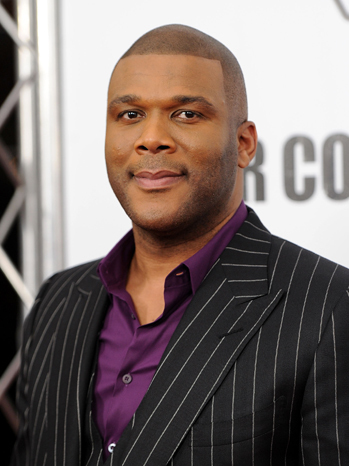 Tyler Perry built his empire off his successful stage plays. The plays landed him a film deal with Lionsgate. Following a string of successful films, Tyler Perry took his profits and he invested in sitcoms. These sitcoms have found a stable home with TBS and has allowed Tyler Perry to expand. Despite all of his success, Tyler Perry has had to deal with a major backlash. While many adore his films and television projects, many dislike his work. Many members of the black community say Perry's work is very demeaning. Fellow black filmmaker, Spike Lee, often refers to Perry's work as "coonery." Recently, Perry called Lee out on this and now he has moved on. Once again capitalizing off the success of his film series, Why Did I Get Married?, Tyler Perry is adapting the film for a sitcom, "For Better or Worse." The show will follow the same formula as "Living Single," as it will revolve around four college buddies as they deal with life issues. Labels: for better or worse, spike lee, tbs, Television, tyler perry, why did i get married?